Catering to the rhythmically distinctive needs of discerning dubstep producers globally, SPARK DubStep features a comprehensive library of 30 cutting-edge kits/480 instruments created in partnership with London-based leading pro audio loops and samples provider Sample Magic, themselves cited as being “…one of the elite dance sample venders.” Atomic wobble basses, filthy FX, dirty drums… it’s all there for the taking! Yet SPARK DubStep is not just another sample library, but rather a complete rhythm track construction kit par excellence, boasting 960 pre-programmed MIDI patterns of harding-hitting drums, virtual analogue synths, and filter-modulated mayhem — perfect for putting together tomorrow’s pure wobble anthemic hits, or revisiting EDM and hip-hop stylings on dub steroids! A remixer’s dream team player, perhaps. 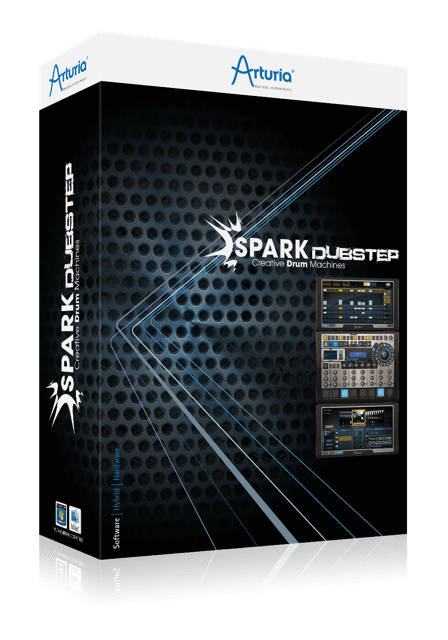 SPARK DubStep’s powerful, yet inherently user-friendly interface makes beat- and bass pattern-creation a breeze — especially when using the step sequencer situated at the top of the default centre panel. Hardware drum machine enthusiasts will feel right at home here. And thanks to advanced looping modes cleverly combined with the XY pad’s real-time slicing and filtering controls, users will be producing stunning breaks with the best of them in no time at all — perfect for live performance! Each and every one of those 480 instruments comes complete with 12 sound-sculpting parameters to promptly put your own stamp on the resultant sound: modify the noise colour of hi-hats; clip basses using various analogue filters; adjust the LFO rate and depth of a wobble bass… the creative possibilities are almost endless! But musical creativity need not stop there. Far from it, in fact! Mix fine-tuning is a given, with SPARK DubStep’s integrated 16-channel mixer offering 14 high-quality effects and also mapping of each instrument’s stereo output to the host DAW when seamlessly running as a plug-in (RTAS, AU, VST3) with real- time automation available on all parameters. And it’s even possible to export patterns as .wav or MIDI files to the DAW — simply drag-and-drop any pattern from the currently open kit to have it automatically rendered in the chosen format. Of course, performers wishing to use SPARK DubStep as a standalone instrument independently from a software sequencer and play it from their favourite MIDI keyboard- or drumpad-based controller are perfectly free to do so. Either way, all onscreen key knobs and pads are easily assignable via MIDI. So whatever your preference — production or performance, take the next step to dubstep with SPARK DubStep… and beat the future!